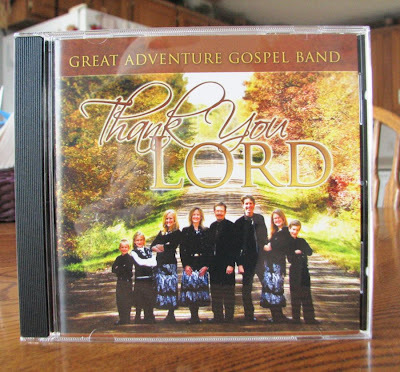 After months of recording, engineering, mixing, mastering, designing, listening, praying, and waiting, Great Adventure Gospel Band’s first CD, “Thank You, Lord”, is finally available! You’ve asked for it, and now we are so happy to announce the waiting is done. The day went by with no sign of Fed-Ex, and it was getting close to the time we needed to start supper. Whitney and I were talking about random subjects in the “computer room” and the others were practicing when the doorball rang. Whitney and I looked at each other, bewildered. It couldn’t be! It was too late for Fed-Ex, but still…we raced to the entryway with the others. Sure enough, a delivery man was dropping off six boxes for us! WAHOO! Praise the Lord! 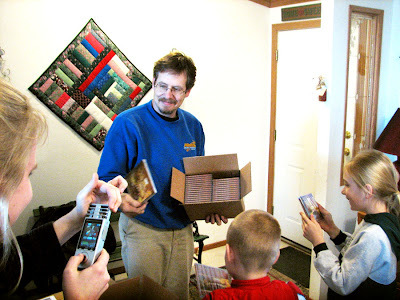 Opening the first box – wow! Now, the irony to this “mountain-top” experience is the “valley” which soon followed: our washing machine broke down within an hour of the CDs’ arrival! Yes, believe it or not, our faithful washing machine which has served our family of fluctuating numbers for the seven years we’ve lived here died and was beyond economical repair. Our extremely mechanical Dad wasn’t able to fix it. Dad and Mom began searching for an affordable machine on Craigslist, and came up with some options. On Saturday, Dad, Mom, and Ben went to the suburbs and brought home a “new” washing machine. Praise the Lord they were able to quickly find and purchase a machine which was within our tight budget. We are so grateful! 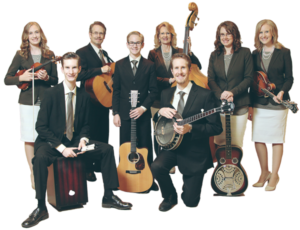 To purchase your own copy of our new CD, click here to go to our webstore. Thanks again for all your support and friendship. What another exciting step in the journey!